Maryland passed a new dog bite injury law in 2014. What does it say and what does it mean? Who is really paying a settlement or judgment when I sue a dog owner for my injuries? What if the dog owner has no insurance? What if I was petting or playing with the dog when he bit me? What if the dog's owner is a friend or family member? What will happen to the dog if I bring a claim? How much money will I get for my claim? What should I do before I talk to a lawyer? Maryland passed a new dog bite injury law in 2014. What does it say and mean? In April, 2014, the Maryland legislature passed a "breed neutral" law that effectively eliminates the so called "one bite" rule. The rule creates an assumption that dog owners know their dogs can bite. But this carefully balanced new law also allows the owner to neutralize that legal presumption, if they can show a reasonable owner would not believe that the dog was at risk to cause harm. This legislation effectively nixes the Maryland Court Appeals much maligned ruling in Tracey v. Solesky in 2012 which found that pit bulls are inherently dangerous and that strict liability should be imposed on both the owners of pits bulls and landlords. Who pays a settlement or judgment when I sue a dog owner for my injuries? 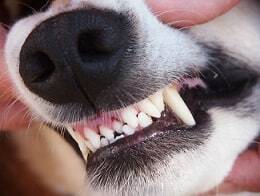 Who pays the verdict or settlement in a dog bite case depends on the insurance coverage that is applicable to the claim. Many people are surprised to learn that homeowners' insurance and renters' insurance pay for dog bite injuries, even those that do not happen on the owner's property. In these cases, the insurance company will pay any settlement or verdict. If the dog owner does not have any insurance, the claim is far more problematic. Most people who have assets that could pay a judgment have homeowners' or renters' insurance. Many good cases never see the light of day because there is no insurance coverage and the defendant does not have the money to pay for the harm that was caused. It depends on the facts. If you provoked the dog in a way that a reasonable person would not, you have both contributory negligence and assumption of the risk problems that will likely be fatal to your claim. But in many and, arguably, most cases, it is reasonable to believe that if the pet's owner lets you play with or pet the dog than you have a reasonable expectation. Generally, the answer is three years. This is subject to certain exceptions. You want to contact a lawyer on this issue sooner rather than later just so you are clear on your deadline to file. Because that deadline is firm and after it passes you have no further rights no matter how viable your claim may be. We have handled cases where children sued their parents, friends suing friends, siblings suing siblings. Obviously, if there is no insurance, you have to consider whether bringing a claim is going to sabotage critical relationships in your life. But our law firm is almost invariably bringing claims where the defendant has insurance. In these cases, while someone you care for may be the "defendant", what really matters is who is paying the settlement and that is the insurance company. We had a son suing the parents case once where I later learned that the parents did a really good job of pushing the insurance company to settle. So while it sounds a little strange suing someone you care about, it usually works out without anyone's feelings being hurt. Different counties in Maryland have different rules for dealing with dogs who cause serious injury or kill. But the civil lawsuit against the dog owner has absolutely nothing to do with the how the authorities treat the dog. How much money can I expect to get as compensation for my injuries? A dog bite case is no different from any other personal injury case. You can find statistics and sample verdicts and settlement here that shed some light on the value of these claims. Really, these cases are not much different than any other personal injury case and you can learn more about the valuation process here. The big things you can do are to take pictures of your injuries and make sure you don't talk to the insurance company about your injuries or details about the dog bite itself. Our firm handles serious injury dog bite injury cases. We know Maryland law and we fight for victims with every ounce of strength that we have. If you or your child have been injured from a dog bite in Maryland, call 800-553-8082 or get a free on-line consultation.